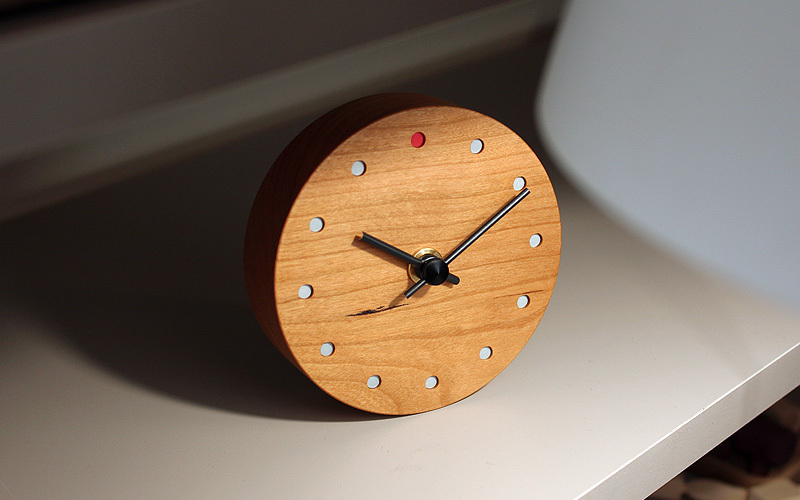 This clock with a wooden dial will make your space more comfortable adding snugly warm feel to it. 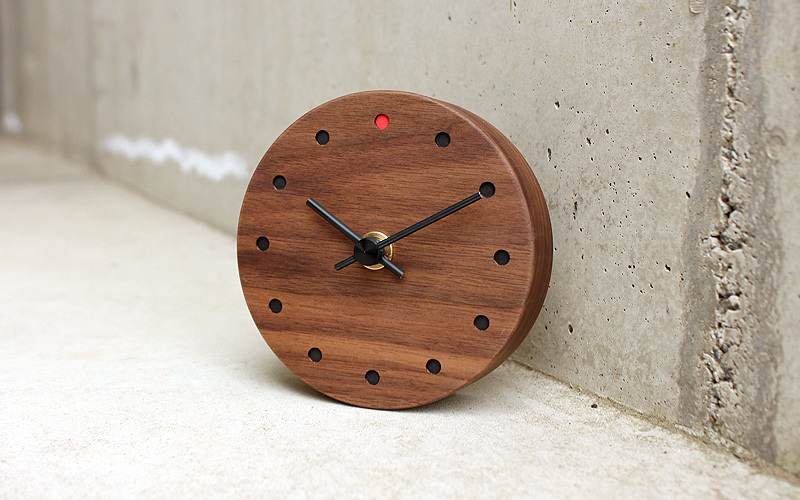 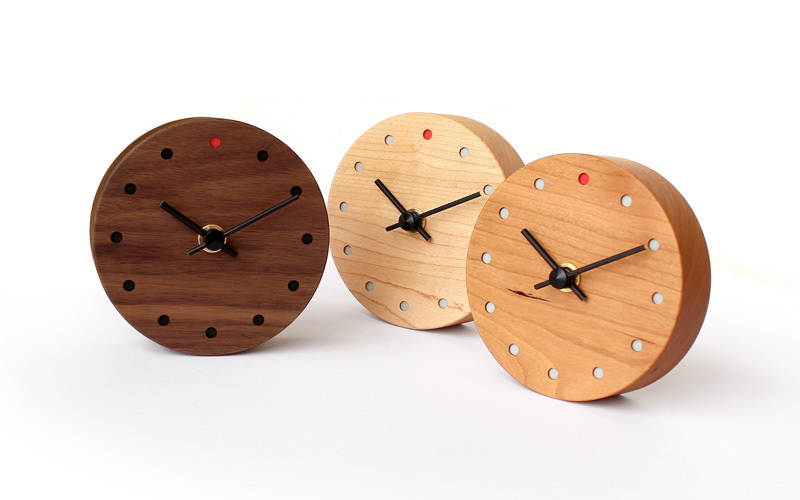 The wood colors deepen as the clock ages with you. 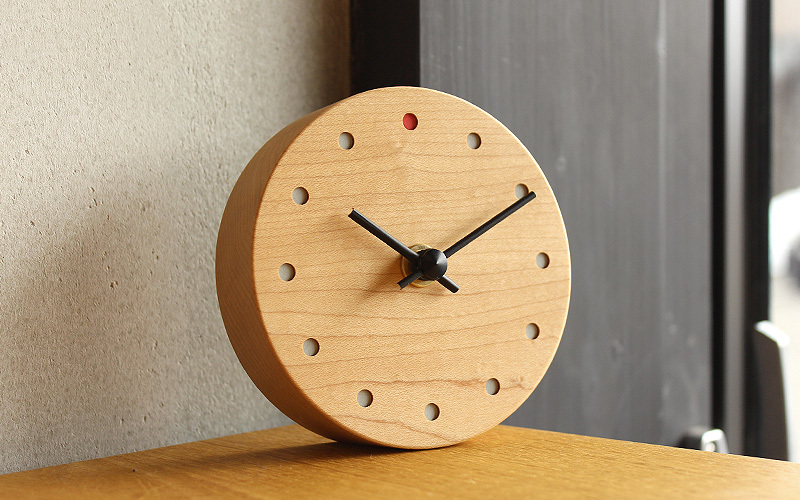 This clock can placed as you please without taking up much space on the wall, your desk or fridge.